We have taken years of live performance sound reinforcement expertise and applied it to the permanent installation market. The comprehensive product range and significant resources of the company enable the complete satisfaction of technical and financial requirements unique to each customer, with an efficient, engineered, and practical solution. When designing a sound system we can computer model your building to archive the very best in sound reproduction and overall levels. We will work closely with you to define the requirements and challenges of each project. Whether it is system upgrade or new construction of a facility, New Day will advise you through the entire process. 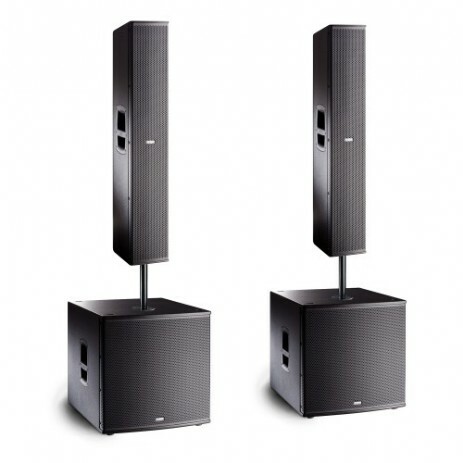 Consideration of performance, physical requirements, aesthetics, ease of operation, and the potential for future upgrades are taken into account to ensure you get the best possible sound system and for your budget. 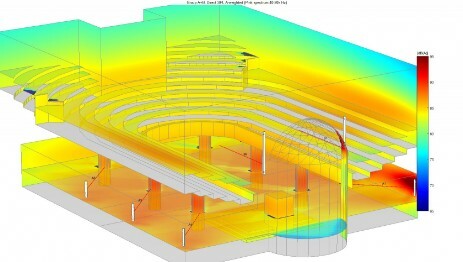 We use the latest software available to aid our technicians in the design of the system and also to predict the coverage and sound pressure levels within the seating environment. We are able to provide full system integration as required by each project. Training of client personnel on new equipment is always provided. We offer the same high standard of customer service, regardless of the product or project value. From large capacity entertainment arenas, educational institutions, theaters and houses of worship to the most intimate boardrooms, New Day can supply a complete consultation, design and installation services for any application requiring quality audio reinforcement.